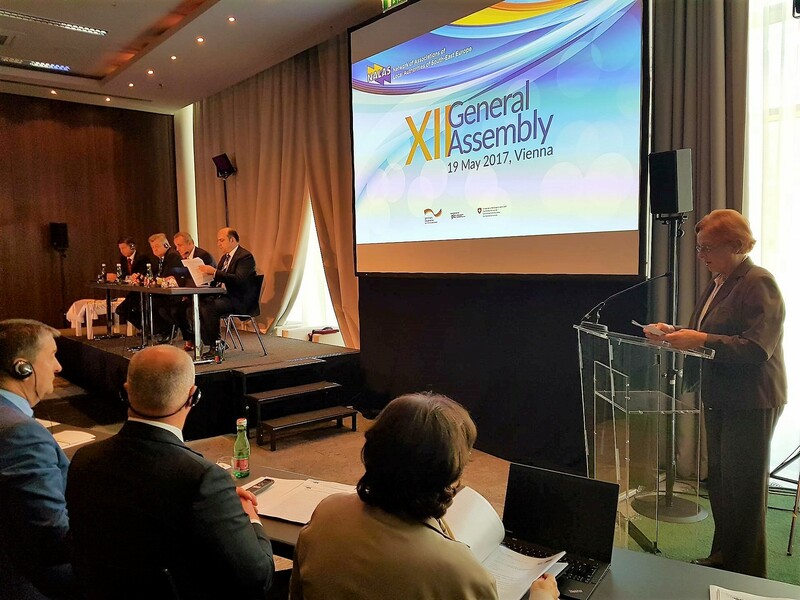 The General Assembly was opened by the current NALAS President, Mr. Naim Ismajli, Ms. Breda Pecan, the Vice President of the Congress of Local and Regional Authorities of the Council of Europe and Dr. Franz Schausberger, Special Advisor to Commissioner Hahn. “The year that passed between the last General Assembly in Prishtina and today was very challenging and eventful. The constant developments in Europe and globally are fast and unpredictable. The Brexit challenged the very existence of the European project, but luckily the most recent outcomes of elections in Netherlands and France give the hope that our continent has the strength to go forward towards prosperity and a brighter common future. Unfortunately, in this wider fragile context, the Balkans lost the attention it had in the past two decades and especially decentralisation fall down on the priority list of our countries and the European traditional supporters. Suddenly all major counterparts forgot how important is the decentralisation in the Balkans in building the peace, stability and economic prosperity. However, the associations and their members – the local authorities in South East Europe – undoubtly continued to be active participants and contributors in strengthening important regional initiatives and achievement of strategic goals that, we hope, will strengthen and intensify their role in the region, and will move forward up the agenda of local governance and local democracy. We come today to you with a proposal for a new Strategic Plan of NALAS for the next 5 years’ period. This strategy is built being fully aware of the current challenges, the fragile environment and scarcity of resources. Yet it brings new innovative ideas and sets very ambitious targets”, said Mr. Ismajli. Ms. Breda Pecan, the Vice President of the Congress of Local and Regional Authorities of the Council of Europe, emphasised the important role NALAS plays: “NALAS has been, and continues to be, very important to the Congress. Important because we see you as a success story, a shining example of what can be done, a beacon of hope in a region that has known more than its fair share of problems and conflicts, and which is considered as “fragile”, as stressed by the EU Council at its summit in March this year. It is important too, because you bring together the national associations of local and regional authorities in the region; and these associations are our most essential and genuine partners for promoting and implementing European standards and policies for local democracy, and thereby improving the lives of our citizens. NALAS is recognised for the high quality of its work, for its networking capacity, and for the spirit of co-operation it maintains in the region and with its partners. The work done to support its members, and the services it provides to them, are further tangible evidence of its success”, said Mr. Pecan. “I am delighted to be with you and I do bring the best greetings of Commissioner Johannes Hahn”, said in his opening speech Dr. Franz Schausberger, Special Advisor to Commissioner Hahn. “In all the ongoing processes the local and regional authorities are playing a key role, even though there is no separate chapter on the subject of the aquis, nor any established EU model for decentralisation, regionalisation and multi-level governance. 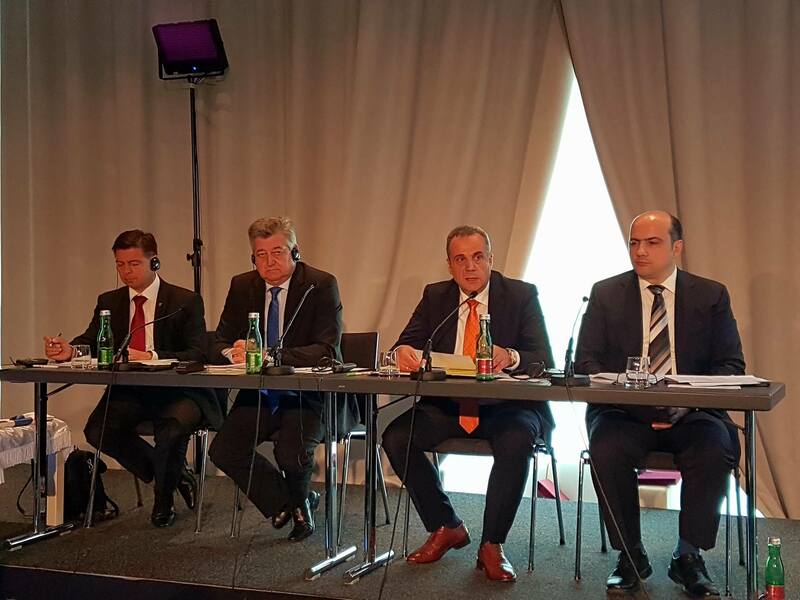 The role of local and regional authorities in the overall enlargement information strategy is very important because broad public support for enlargement is only achievable if the potential benefits of enlargement are explained to society at grassroots level. To be successful in these efforts we need the local authorities, first and foremost the mayors”. Dr. Schausberger emphasised that local governments’ capacities in the legislative, financial and administrative sphere have to be further developed. “Your new book that I just got this morning, the latest Fiscal Decentralisation Report for South-East Europe is a great basis for doing this, also very useful for us, and I thank you for doing this study”, said Dr. Schausberger. Two important policy positions were voiced by the General Assembly, one on the Western Balkans in the EU enlargement agenda and the Local Governments and their Associations as key stakeholders in the EU Integration process, and the second one on responding to the need for capacity development for the water and sanitation sector in South-East Europe. 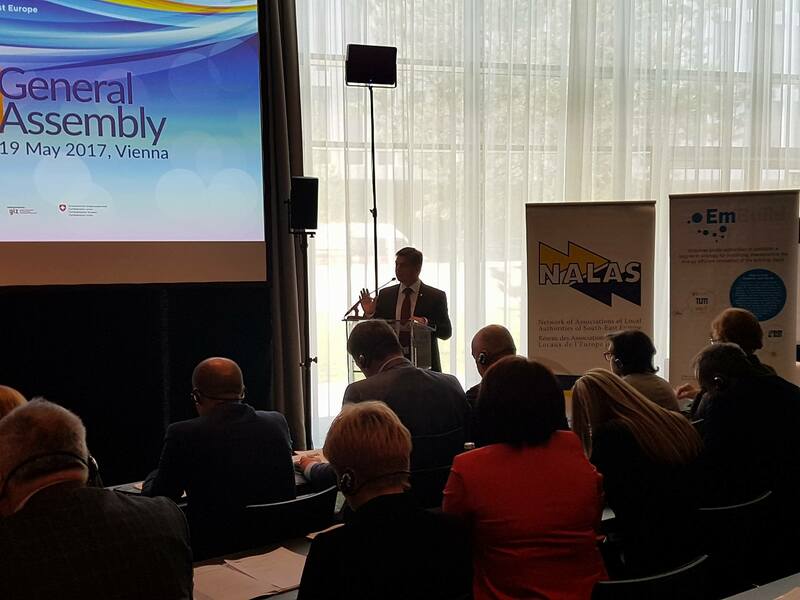 Mayor Darko Fras, NALAS Vice President presented the NALAS Position Paper “Western Balkans in the loop, Local Governments and their Associations as key stakeholders in the EU Integration Process”. “EU is about people, for people and around people. The location where people live, act, meet and liaise directly with government and public administration is the local level! A functional bottom-up approach depends on an effective coordination and cooperation between local and central government level to be successful”, states the Position Paper. The position paper puts forward several proposals for dialogue facilitation, such as: EU Commission - Technical or administrative unit for LGAs and LGs to address to, European Parliament Working Group, Western Balkans Cooperation Days, and suggestions for EU support instruments that will increase involvement of Local Governments and their Associations. 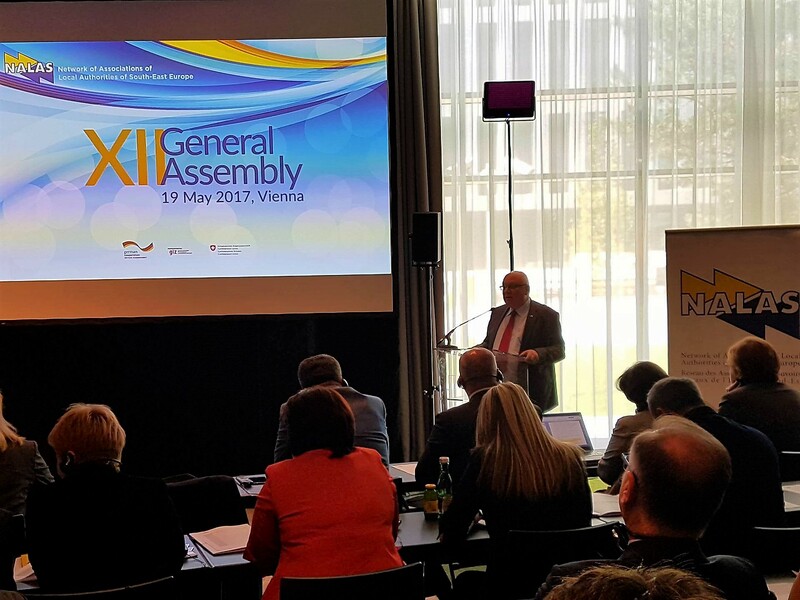 The delegates of the NALAS General Assembly reviewed Network’s work in 2016 and the work plan for 2017, and discussed and approved the new Strategic Plan of the Network for the period 2018-2022. The new strategy will focus on supporting LGAs and LGs in sustainable local economic development, smart and innovative growth, job creation and community resilience and regional cohesion. Based on the rotation presidency system, Mr. Mico Micic, Mayor of Bijeljina, Bosnia and Herzegovina, assumed the role of NALAS President, who will lead the Network in the next year. 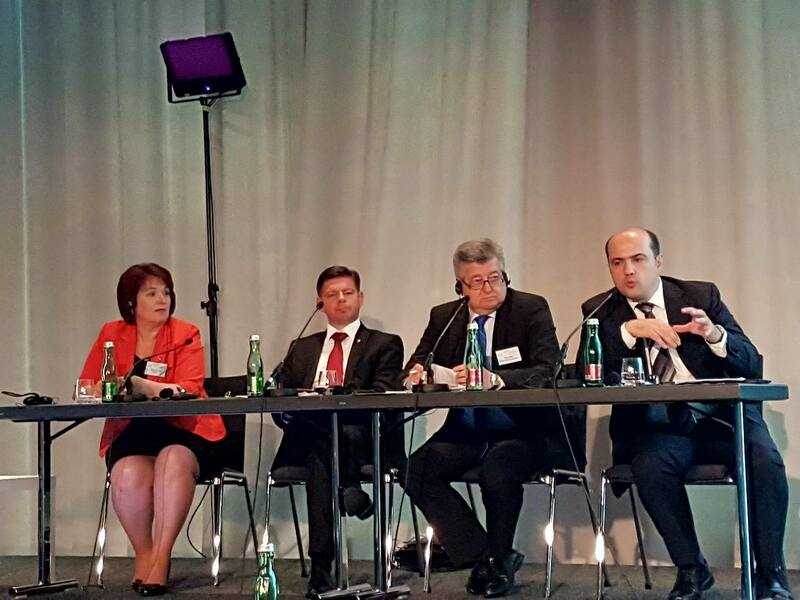 Mayor Tatiana Badan, from Moldova joined the NALAS Presidency as the third Vice-President. 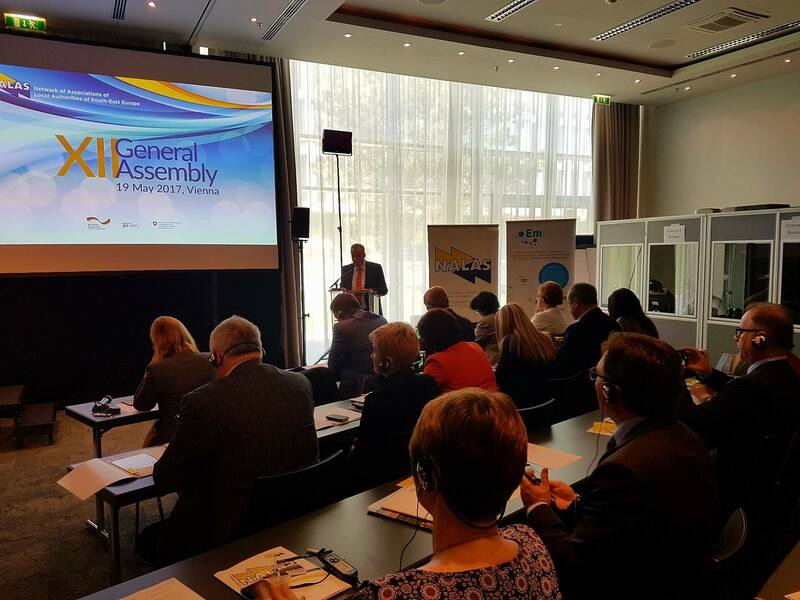 NALAS General Assembly, in parallel with the General Assembly of the International Association of Water Utilities in the Danube Catchment Area (IAWD), adopted a joint Declaration on the Launch of the Regional Capacity Development Network (RCDN). “Ladies and gentlemen as we speak here there is a parallel IAWD General Assembly session in the other conference room. This declaration is on their agenda too as it is a joint one, to be signed by both NALAS and IAWD. As you know our partnership with IAWD is a strategic one and for that purpose we have signed a Memorandum of Understanding a year ago. We are not just about to start a new big program called RCDN with a value of almost 7 million Euro with the main purpose to create a capacity building offer specialised in increasing capacities of our municipal staff to be able to plan and manage infrastructure projects in water and other sectors. We take the opportunity of our meeting today to make a joint declaration to call our Ministries and International Finance Institutions to pay attention on this upcoming activity and provide their support”, said Mr. Micic.